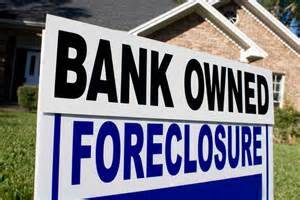 If you're pursuing purchasing a foreclosed property, there is a lot you should know if you have never done it before. Yes, there are tons of great deals to be had in the market these days, but there are different stages of foreclosure and the more you know, the more you can protect yourself. This is when the homeowner still owns the property and knows there is potential for foreclosure. They're likely not current on their payments and are in danger of destroying their credit and losing any equity they have. Buying at this stage is tough - the sellers may be on a deadline and things have to happen quickly. The sellers will be extremely motivated and may work out a short sale if the bank allows and they can find a buyer fast enough. The second option is to buy at auction. This should be approached with caution - there is a lot of risk such as liens on the title and unknown repairs. Also, cash is typically required on hand at this stage if you beat the bank's bid and win the auction. The last chance to get these great deals is post-foreclosure. At this point, the home is known as REO - real estate owned property by a bank or lender. The bank won at the auction and is now selling the home to recoup as much money as possible - at least what is owed on the property. The bank will likely hire a local real estate agent to put it on the market. The longer the home is on the market, the more willing the bank is to work with you on selling price. Keep in mind, banks do not enjoy the business of owning real estate – they want to get rid of it as quickly as possible. Get a full approval from a mortgage lender who has verified your income and assets. This will give you more negotiating power. Pick a zip code you are interested and do research on what homes are selling for and the recent trends with property values in that area. Get an inspection done and make your offer contingent on satisfactory result from the inspection. Determine potential repairs and their costs. Remember you have the upper hand in negotiations with regards to the bank paying closing costs and making repairs. To find foreclosures, you'll want to work with an experienced real estate agent who has access to local multiple listing services and can pinpoint the potential deals for you. Be cautious and patient in the process of buying a foreclosure. If done right, you will find a great home in which you may have some instant equity.